(1) There is no entrance test at FS Level although the school will complete an age-related assessment. 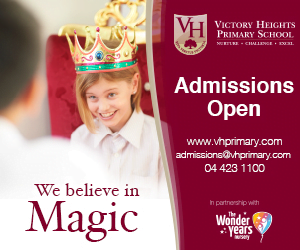 (2) For Years 1 -13 there may be an entrance test at the discretion of the school based on the required year of entry. (3) "An offer of a place is NOT solely based on the results of any entrance test but on the availability of space and, finally, on the weighting we give to our interview with each child and their family." (4) The Winchester School has limited spaces for children with additional learning needs. Firing on all cylinders for its children. 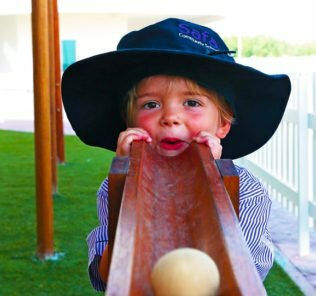 For a very good British education on a budget – and one that has the potential to nurture the gifts and talents of children at least as well as the Tier 1s, the Winchester School – Jebel Ali, takes some beating. A truly impressive, inspiring school that teachers, leadership – and students should be very proud of. What a wonderful, extraordinary school. 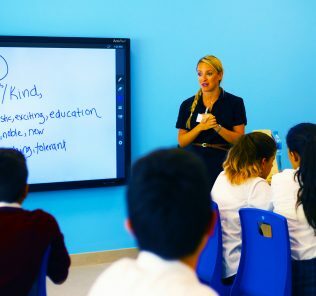 It is a rare thing to be able to be so positive about a school that many parents will simply not have heard of, this partly because it (confusingly) shares a name with another very different GEMS school, GEMS Winchester- Dubai (the poorest performing of all GEMS schools). The two schools could not be further apart. Where to begin? First, this is a big school. 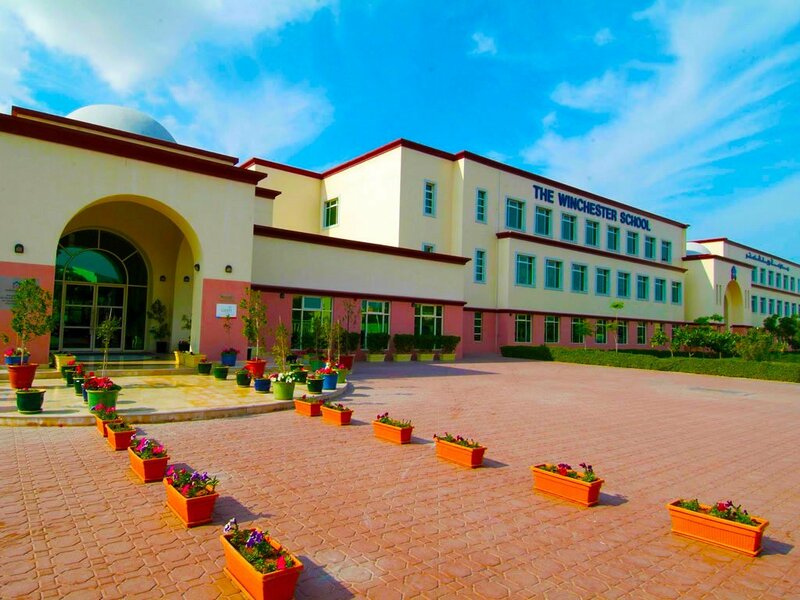 With 3,583 students, The Winchester School- Jebel Ali (WSJA) may strike alarm bells with some parents. 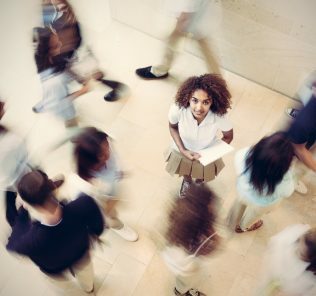 The logistics of managing this number of children – with a role that dwarfs the size of many companies, would be testing of the skills of any leadership team. But Winchester somehow does it – and the upsides of losing the intimacy of a small school are legion. Stand-out is its culture of innovation and creativity, as well as the buzz of a big, industrious school. There is a real sense of a community here working together to explore the world in all its facets. Around every corner something is happening, discoveries made. The ECA and enrichment programme could fill the pages of a small novella. 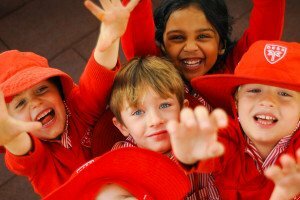 One benefit of a large school is the possibilities opened up by the blending of skills, ambitions, talents, personalities and student enthusiasms on such a grand scale. And what is striking is that the children work together, each sharing and feeding off their individual stories and discoveries as they work through the school. 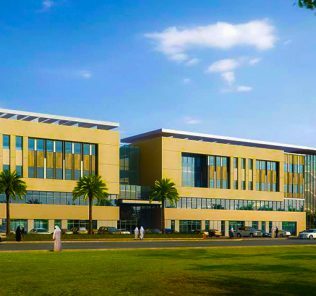 Little wonder that the KHDA has picked this school up in its “Very Good” schools category – and this is a school that is genuinely not far off “Outstanding” – not in its bells and whistles, but in its child development and educational fundamentals. There are so many stand-outs it is hard to know where to begin, but prospective parents could start by looking at some of the presentations given in the school’s TEDx programme (they are all outstanding in different ways and it would not be fair to highlight one here) and the films made for its Tolerance Week (see video below). 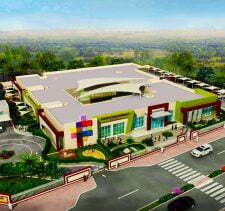 This is a school that has come from nowhere to shine a real light on what is possible in a school which simply works. 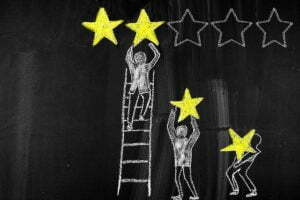 This is reflected in WhichSchoolAdvisor.com feedback since its last review in 2014-15. Feedback has been almost wholly positive. To put some context to the KHDA performance, a placing in the Very Good Schools category puts Winchester School, Jebel Ali in the top 20% of schools in the Emirate. When we further weight its scoring in individual categories it is heading into the top 15% or higher of all Dubai schools. 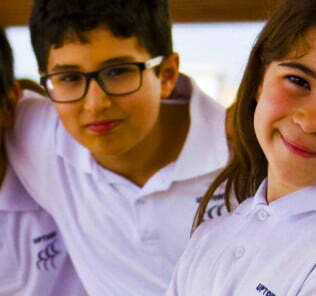 Winchester Jebel Ali follows an all-through English National Curriculum from FS to Year 13. Again it sets itself apart from other schools at this fee level in providing a rich choice of subject provision at both IGCSE and AS/A Level. There is none of the shoehorning of many other predominantly Indian schools to push children into Sciences or Business, with the limited subject provision to match. In sharp contrast, options compete with the Tier 1s – and stretch from the classical Sciences and Arts through to psychology, sociology and economics. This is a school that can talk credibly about whole child focus – and delivers in the academic structure that enable children to follow their individual gifts. It should be noted that with more than 80 nationalities at Winchester the feel is cosmopolitan; it is clear that the school draws from a broad audience precisely because it is operating at a very different level, and with a very different approach, to other archetypal Indian, English National Curriculum based schools. Core subjects at IGCSE in English, Islamic Education (or Personal Social Health & Citizenship Education (PSHCEE) for non-Muslim students), Mathematics, Arabic and Physical Education (PE) are supplemented with four options drawn from Biology, Travel and Tourism; Economics, Business Studies, French, Geography, Chemistry, Sociology, Physical Education, Accounting, Child Development, Environmental Management, Physics, Art, Computer Science, Global Perspectives, ICT and History. Sixth form students sit four subjects drawn from Accounting, Business Studies, Economics, Biology, Chemistry, Physics, Sociology, English Literature, Mathematics, Applied ICT and Psychology. Again a stand-out feature of the school is that English Literature is not dropped as an A Level option (as it is in many predominantly Indian role English national Curriculum schools), despite the majority of children coming to English as a second language. The KHDA rates the teaching of English, and the progress and attainment of children in the language as uniformly “Outstanding” at every phase. 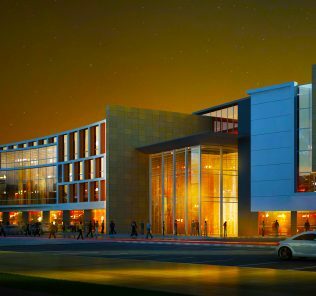 On the subject of fees, Winchester School – Jebel Ali probably offers the best value British education in the Emirates with annual costs ranging from 12,996 AED at FS phases to just 28,992 AED in the A-Level years. Yes, the majority of teachers are recruited from India which brings the costs down – but these are GOOD teachers, in a school environment that brings out the best of them. And the school invests in professional development. 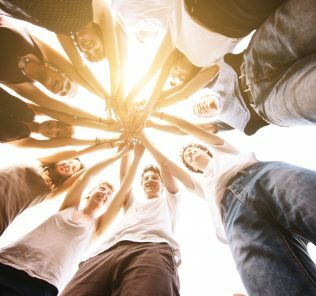 We were struck that 10% of all teachers are placed on the Cambridge International Certificate for Teachers programme – and then return to the school to cascade down their knowledge with their peer groups. 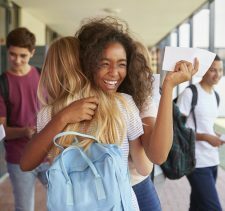 The best explanation for the success of the school comes from this investment in people – teachers (who are recognised); students (who are empowered to find their talents), and parents (with exceptionally good parental communications and engagement). 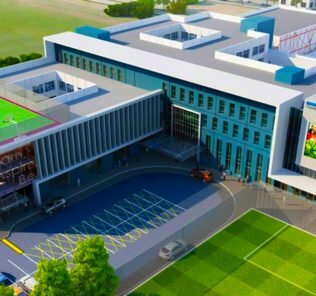 Facilities include a fully digital campus; independent Primary school building, Secondary building; multi-purpose landmark auditorium with full theatre production facilities and indoor games set-up; Music rooms by instrument cluster; Craft technology labs; Primary Science laboratories; Secondary Science laboratories by specialism; 6 computer and ICT labs; two libraries; Foundation play area; Outdoor shaded play and recreation areas by phase; bus fleet; two medical centres (with two permanent doctors and for nurses); canteen; prayer room; PHSCEE Centre; and, a career counselling hub. On the latter, Personal Social Health & Citizenship Education (PSHCEE) and Career counselling are both further stand-out features of the school. 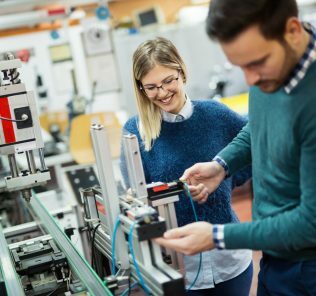 PSHCEE operates in practice as a catch-all hub for enrichment and creativity, and the Career Counselling is some of the best we have seen – with genuine, structured investment in helping children focus on, and achieve their graduation ambitions, whether for university or for other pursuits. 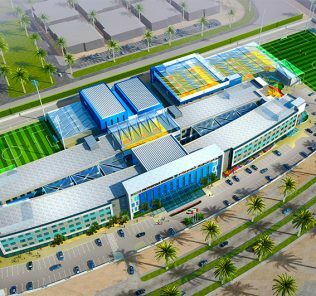 Sports facilities include an indoor sports centre (above) for basketball, volleyball and whatever generally inspires children at any given time; multiple sports fields for cricket, tennis, and football (boys and girls); table tennis; track and field; aerobics and dance. Whilst the school, like nearly all GEMS schools lamentably does not publish comprehensive and systematically accessible IGCSE, AS or A Level examination results, it does provide one of the best on-line experiences of any GEMS school for prospective parents through (fabulous) on-line blogs, newsletters (The Winch); dedicated youtube channels (including an excellent “WinTrendZ” arts and film making channel that feeds into one of its ECAs) and exceptionally open publication of forward planning for the school (including for the new National Agenda). 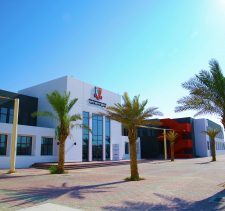 We particular like the school’s transparent publication of all KHDA reports, annual lists of major achievements of individual students and the recognition given to senior leaders and subject heads to publish their thoughts and plans – this is in sharp distinction to many schools which focus only on the Principal. Prospective parents can find a wealth of information about the school online – and Winchester, we feel, deserves considerable praise for its outward looking focus both in being open to parents – and celebrating the many (considerable) achievements of its pupils. 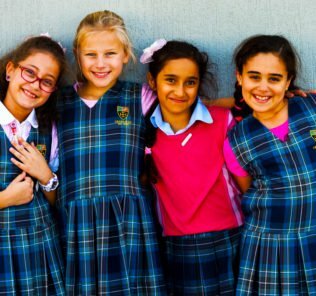 GEMS schools as a whole could learn from its clear ambitions to be open – and celebrate its students’ achievements. As above, the ECA programme is ambitious – and far too extensive to cover in depth. It includes (an absolutely outstanding) TEDx Youth programme; GEMS Enrichment 365; Sports Days; Charity Events; subject-based weeks of activities; Visiting Speakers; Plays (including a plethora of Shakespeare theatre trips); Pageants; Debating; Competitions; Spelling Bees; Elocution Competitions; Poetry and Story Recitation Competitions; World Maths Day; Young Entrepreneurs Competition; NBD Bank Competition; Assemblies; Book Sales; Work Placements; an Education Fair; Field Trips and overseas trips (including to London); “Choirfest”; Performing Arts Week; French Week; WinTrendZ (above); Healthy Lifestyle Week; Humanities Week; Arabic and Islamic Day; Math quiz; ICT week; Britain and Greek Days; a Healthy Food Festival; and, an (excellent) Winchester Film Festival. The International Day of Tolerance through up some incredibly inspirational work by students at the school including the following, an original song composition by Year 9 students. There is really not time here to go through every positive here but we are struck by the many changes that have taken place in the last few years. 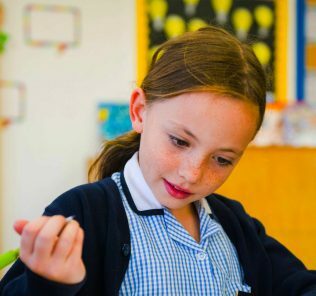 For parents seeking a high quality English National Curriculum based whole child education for their children, operating on a tight budget, that can forego the bells and whistles of the Tier 1s, it is hard to think of a better school. 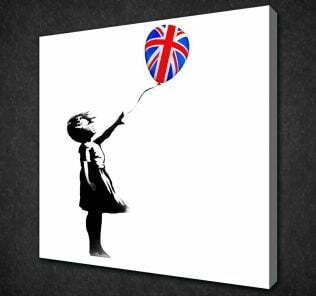 Yes, the teacher: student ratio is high (30:1) – but, with the drive and quality of teaching on offer here – in combination with the blending effect that comes from a school that genuinely nurtures the talents of its 80+ strong nationality mix, it just works.